Langkawi, Malaysia is a great place for a holiday. It is a group of 99 Islands. 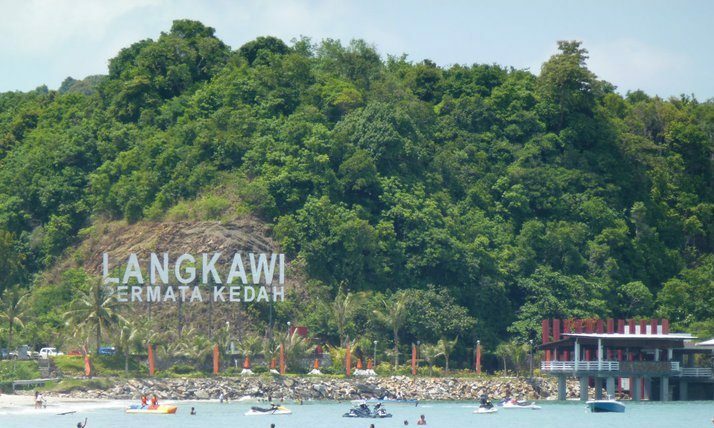 You can find out more about Langkawi attractions here. Langkawi, Malaysia is the place to be if you are longing for a holiday on a tropical island. Located in the state of Kedah, it is a group of 99 islands just 30 km off the west coast of Malaysia. Going there is quite easy as it is accessible by both sea and air. The place is littered with tourist attractions including stunning beaches, tropical rainforests, shopping places, parks and much more. It is quite diversified as far as attractions are concerned. On one hand, you have natural beauty and on the other you have shoppers’ heaven with duty-free items. So, whether you are a nature lover or a shopping enthusiast, a Langkawi Holiday will prove to be an experience of a lifetime. Langkawi attractions are many in number. Some of them are a must-see during a tour of this group of islands. These are mentioned below. This is the largest and the most popular mosque in Langkawi. It is quite beautiful with its peach and golden-colored motifs and onion-shaped domes. 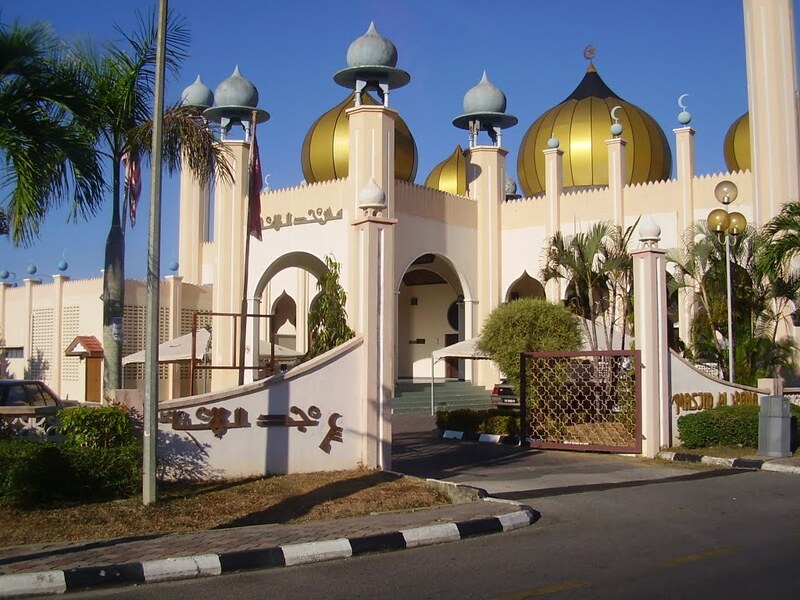 The mosque is located west of Langkawi Dalam Taman and is close to duty-free shops in Kuah. Located just 30 km off the south east of Langkawi, Palau Payar Marine Park is West Malaysia’s only marine park. It is spread over 4 islands namely Payar, Segantang, Kaca and Lembu. This is a great place for scuba-diving as there is a lot of marine life to be enjoyed by divers. Apart from that, you can enjoy picnics or hiking along the trails on the beaches. It is actually an aquarium housing 5000 species of marine life from freshwater fish to harbor seal. 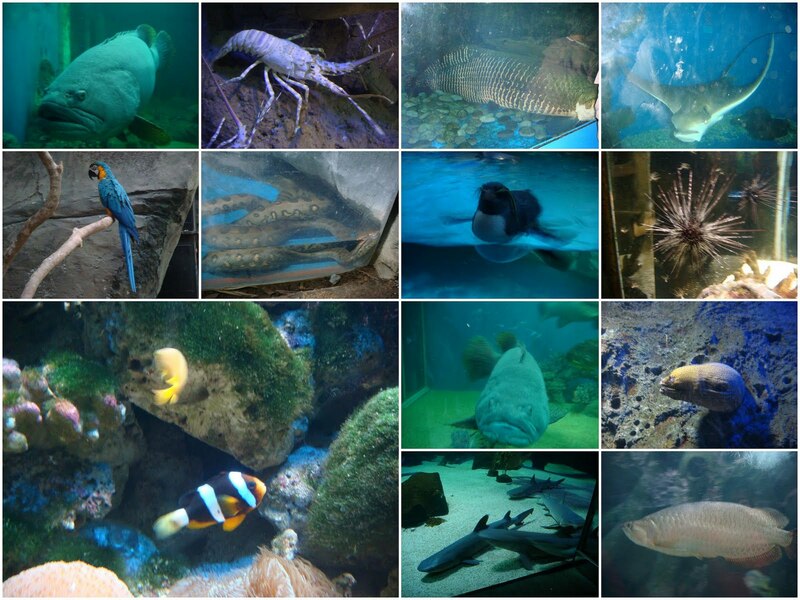 This aquarium is situated at the southern end of Pantai Cenang. You will find different sections in this aquarium including Rainforest Section, Temperature Section and Sub-Antarctic section. There is also a souvenir shop at the end of the aquarium. Eagle Square or Dataran Lang is another one of the various Langkawi attractions. It is located near Kuah jetty. 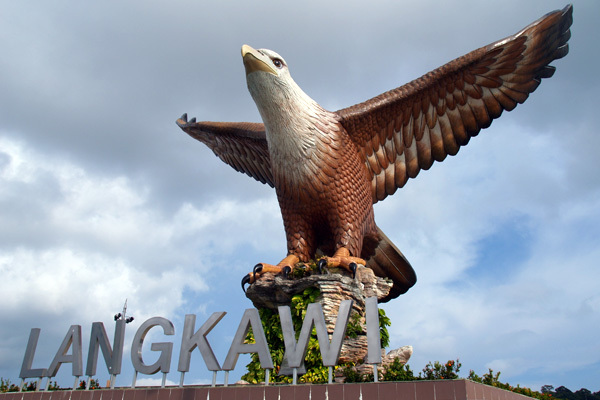 This 12-foot high monument of an eagle with wings spread truly represents Langkawi as the place’s name is derived from “Helang” meaning eagle. The square also has ponds, covered terraces, bridges and restaurants. At night the square is illuminated by beautiful lights creating a great atmosphere for visitors. 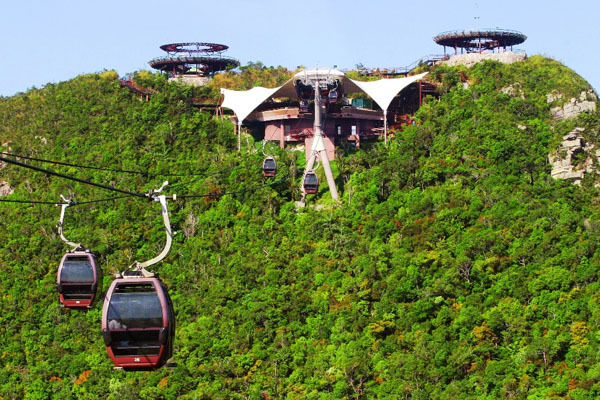 A ride in these cable cars is a must during a visit to Langkawi. Throughout the ride, you will see fantastic views of the different geological formations in the islands and the western sea coast. At the top is Sky Bridge, which gives an amazing view of this group of Islands. It is one of the well-developed beaches on this group of Islands. Located just a few miles from Kuah city, this beach offers a peaceful atmosphere and is mostly visited by couples and people looking for relaxation. 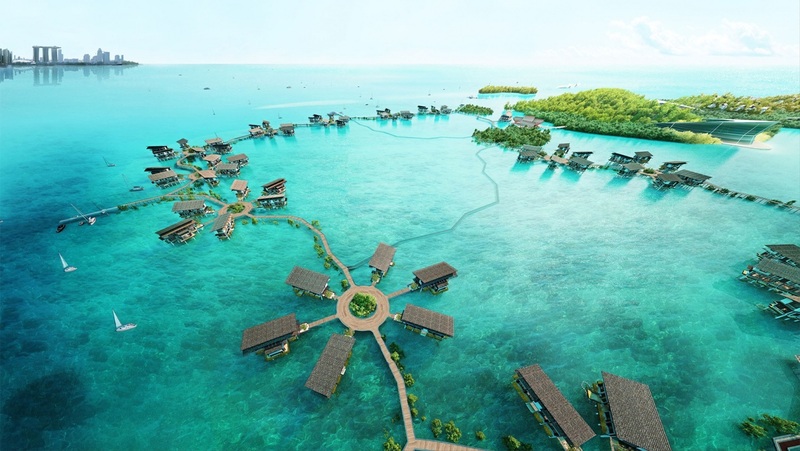 However, it offers many fun-filled activities like jet skiing, parasailing and snorkeling. There are also some fine restaurants and resorts along the beach. So, if you are thinking about visiting a sandy beach with crystal-clear water, you should visit Cenang Beach. As the name suggests, this place is a must-visit for bird lovers. 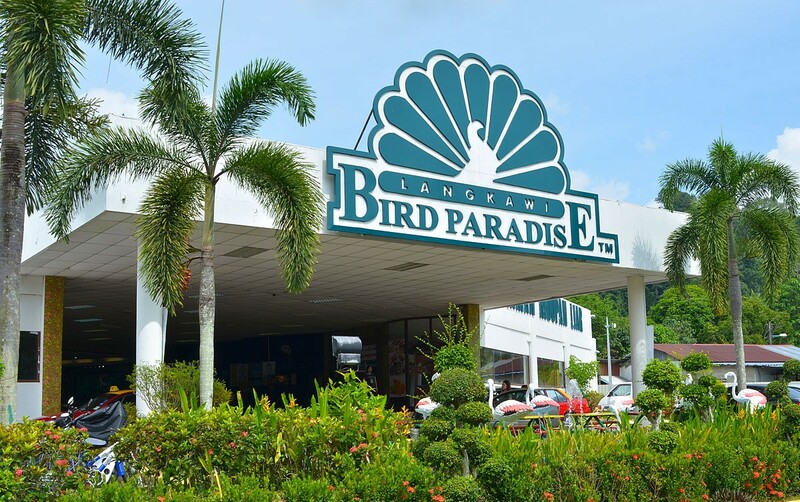 Opened in 2002, Langkawi bird paradise is home to more than 2500 exotic birds from 150 different species. The birds fly freely in their aviaries. You can stroll freely around the park and see these various species of birds. Like Underwater World, this park also has a souvenir shop at the end selling bird-themed merchandise. The above are just some of the must-visit Langkawi attractions. There are many more including Kilim Kurst Geoforest Park, Oriental Village, Rice Garden, Island Hopping Tours, Telaga Tujuh and Black Sand beach. So, go for a vacation in this exotic group of islands. In our opinion, it is best if you go for organized Langkawi tours that offer sightseeing, accommodation and transport bundled together. You should go to a renowned travel agent in your area for more information.